This past weekend, I got to go to my first ever cake show. The event was already a win before I ever got to the show because I got to go with my friend Kristy, and we got to stay up late chatting the night before the show. 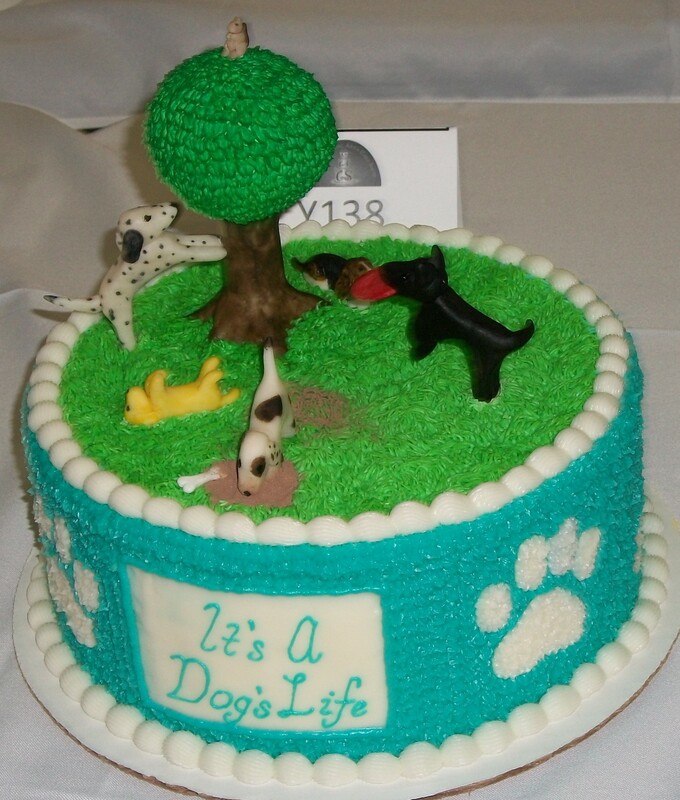 When we arrived, we started in the kids’ category of the cake show. I think a sign said a 10 year old made this one.I have confess my skepticism. I did wonder a little bit about how much help is allowed in the kids’ category. 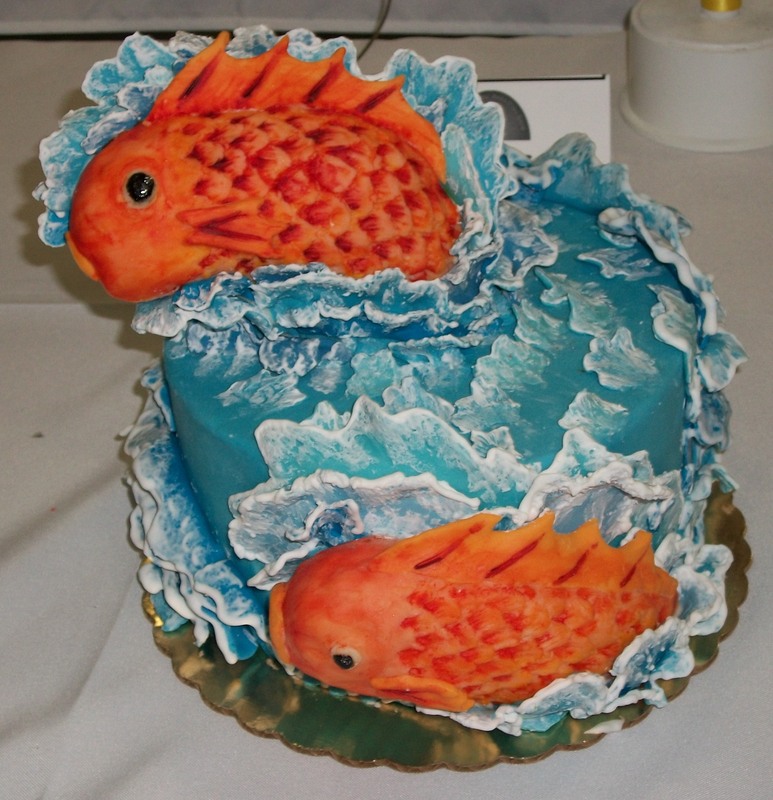 But, even so, props to this cake; if completed without assistance, then, wow, just wow. And, if completed with assistance, I’d like to think that was time well spent in bonding between an adult and child. I like the bird’s nest, especially the colors used for the birds. Next was this piece of 3 dimensional art made by a 17 year old. The waves were stunning, and I like how the entire cake is one coherent whole. 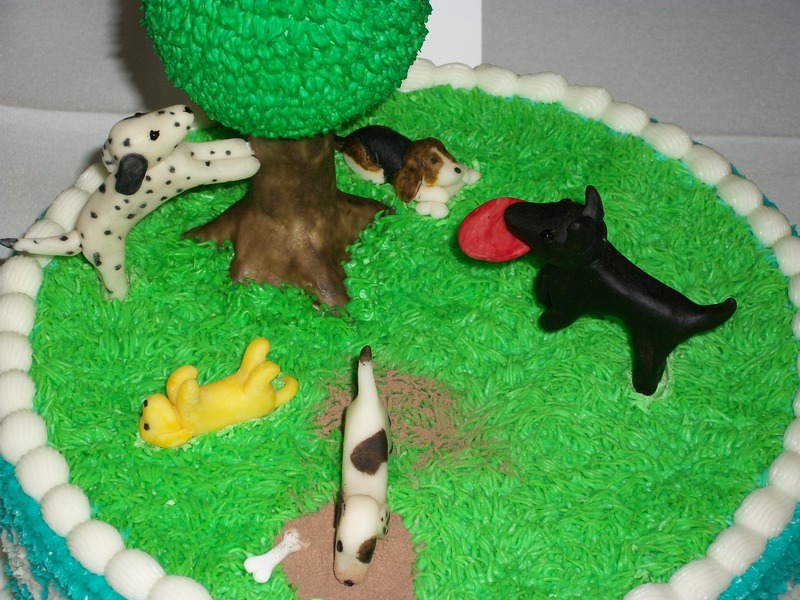 The kids’ category also had a cake near and dear to my heart — the dog park cake. Getting shells on the borders of a cake even like these shells are is no small feat, and the blue on the sides of the cake is comprised of hundreds of individual icing stars, which also take quite a bit of patience if the decorator wants them to all be even and precisely spaced. 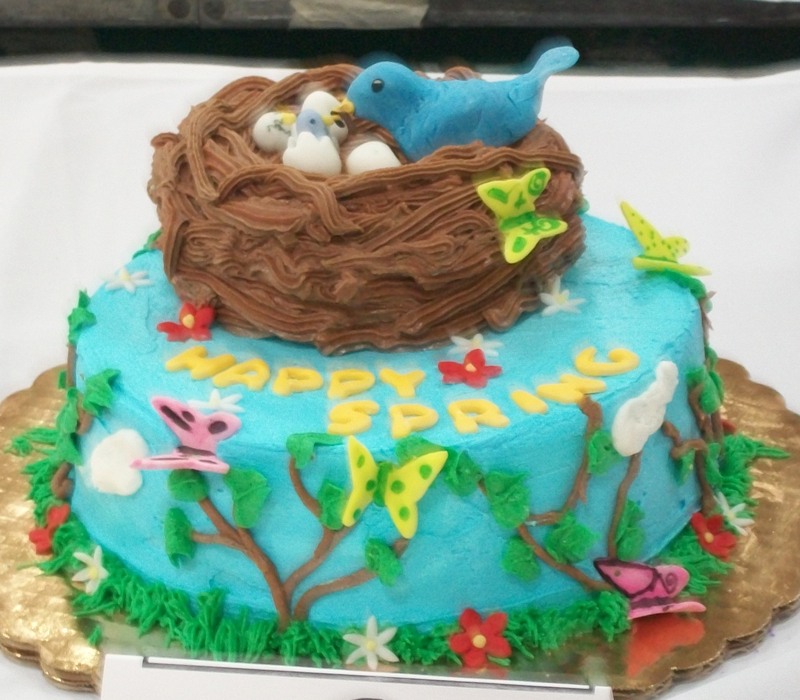 This cake’s whimsy warranted a close-up. The decorator’s eye for detail was astounding. I really liked how there was a thin layer of dirt on the grass behind the dog that was digging a hole. The tree trunk’s variegated color was another feature that was cool, and I can only imagine how long it took to get all those tiny leaves on the tree. This cake still makes me smile.